Spring is here! Are you as excited as we are? Especially after such a long winter that gave us snow storms on the first day of spring, it’s nice to finally get some warm weather and blooming flowers. Speaking of blooming flowers, we bet that many of you are just itching to get out in your garden and dig around in the dirt. 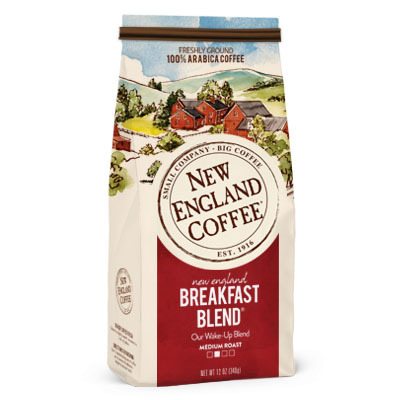 Did you know that your New England Coffee grounds were not only great for giving you that perfect cup of coffee, they are amazing for gardening as well? By using your coffee grounds in the garden, you are being eco-friendly on many fronts. The more gardening we do, the better it is for the environment and finding a new purpose for your coffee grounds is a great way to reuse and recycle. Here at New England Coffee we try to do our part to support a healthier planet. We have redesigned the packaging on all of our single serve coffee with a unique mesh cup technology that uses 35% less materials than our competitors. You also get more aroma and better extraction for a better cup of coffee. Check out these fun ideas for making your coffee do double duty in the kitchen and the backyard. Mixing coffee grounds with water is one of the simplest ways to whip up a homemade fertilizer. You can either mix a half cup of coffee grounds into a spray bottle or add two cups of grounds to a 5 gallon bucket of water and allow it to steep overnight. In the morning your brew is ready to pour over your plants. Add coffee grounds to your composting bin for a big boost of nitrogen. Mulching with your coffee grounds is especially good for fast-growing vegetables like tomatoes, which really benefit from the nitrogen. 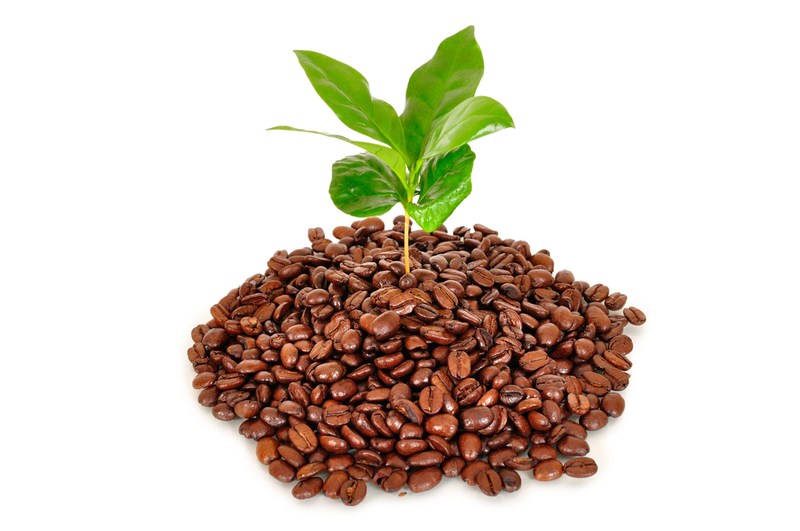 Whole roasted coffee beans make a sleek and elegant mulch bed to lay on top of potted plants as well. Just about any plant will look good against the dark brown color. This idea is too cool to leave off the list. Put those used coffee grounds to good use as the base for your very own home-grown mushrooms. You just need the grounds, Oyster mushroom spawn and a 5 gallon bucket. Find the full instructions here. You may love your furry felines but hate it when they wreak havoc on your garden. A combination of coffee grounds and orange peel keeps the cats away.